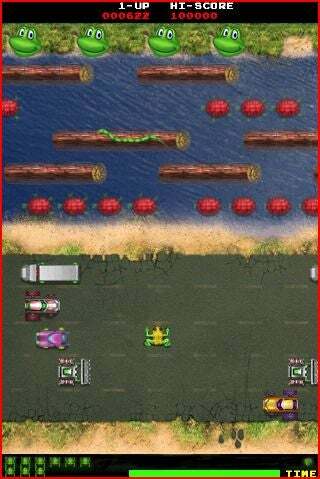 Frogger hopped onto the iPhone and iTouch today for a whopping $10. The spanking new iPhone/iTouch version of the game uses the accelerometer for movement, but you can also play by using the multi-touch screen. The sound and graphics have been upgraded, but it still sounds like a lot of money for a pretty simple retro game. Of course if someone released the original Space Invaders for $10 on the iPhone I would likely buy it, all the while knowing I was getting screwed.